If you are looking for Custom Printed Gift Boxes with your own printed logo, MIDPAC have their own dedicated in-house print department here in the UK producing Personalised Gift Boxes either litho printed, screen printed, digital printed or foil printed from as few as 10 boxes. All our stock boxes can be Personalised, lead times range for 7 working days to 16 weeks depending on your requirements. When you order your Printed Gift Boxes for the first time, you will require a printing plate to transfer your logo onto the boxes. Depending on the style of print, the plate can range from a mesh screen to a magnesium die. Once the setup is in place you will never need to pay for the setup again (unless you change the design). Below is just an example of Printed Boxes we have produced with different print methods. MIDPAC work closely with our partner factory in China to offer a complete range of boxes produced to your own requirements. If you are looking for a bespoke size, colour or design of box, our factory is on hand to assist. 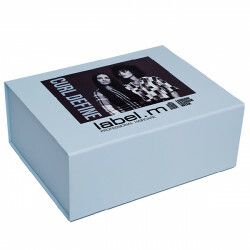 They can offer Printed Gift Boxes from 1000 pieces, lead times are approx. 14 to 16 weeks. Foil Printed BoxesGift Boxes Foil Printed From As Few As 10 Boxes Within 2 Weeks UKMIDPAC have there..
Screen Printed BoxesUK Printed Gift Boxes from As Few As 25 Boxes Within 2 WeeksIf you are looking f..
Digital Printed BoxesFull Colour Printed Gift Boxes With No Minimum Order, UK PrintedIf you are look..